Apart from our modern furniture and comfortable rooms, we offer numerous additional services which you can use during your stay. A rich buffet for breakfast, common rooms with cooking possibilities, a smoking room, coffee machines, a snack-vendor, which you can use at any time, a washing machine and dryer, an internet station with a computer and printer, free Wifi, a bikestorage room and the possibility to park your own car. Do you have any other requests? Please don’t hesitate and contact us for any concerns. We’ll do our best to find a solution for you. We love to help! 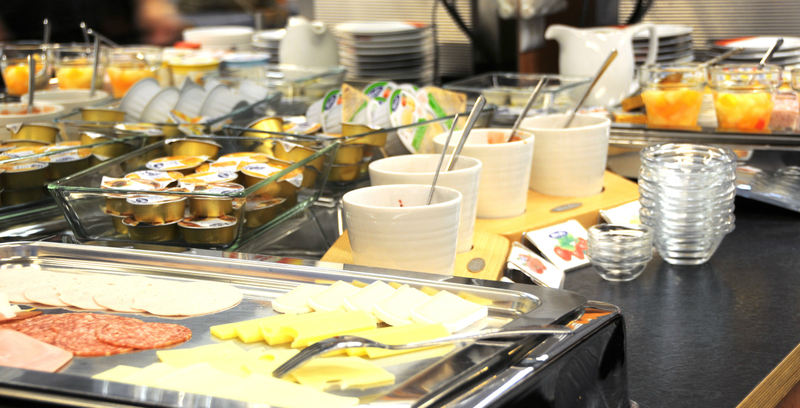 A rich and fresh breakfast buffet is prepared daily for our guests. We offer a big selection of cold meat, bread, cheese, jam and freshly ground coffee from our coffee machine. Are you missing something? Please ask our staff for anything you might lack on our buffet and if possible we will organize it for you. On the 2nd and 3rd floor we have common rooms with a shared kitchen, which all our guests can use freely. The kitchen is equiped with everything you need to make a fine meal and offers a lot of space for cooking. Also for our long stay guests, we offer a personal fridge and a storage-box (both numberd), where you can place food you need to prepare you own meals. If you want to enjoy a dinner or just lounge for a few hours, this is the place for you to do so. 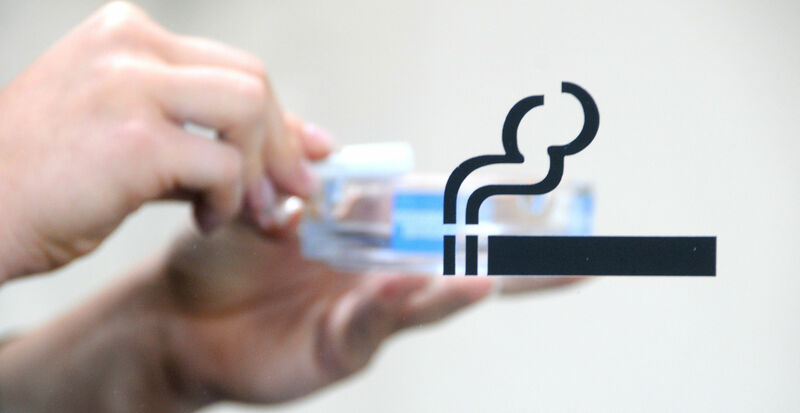 In the reception area we offer a seperate smoking room. The rest of the house is a non-smoking area. 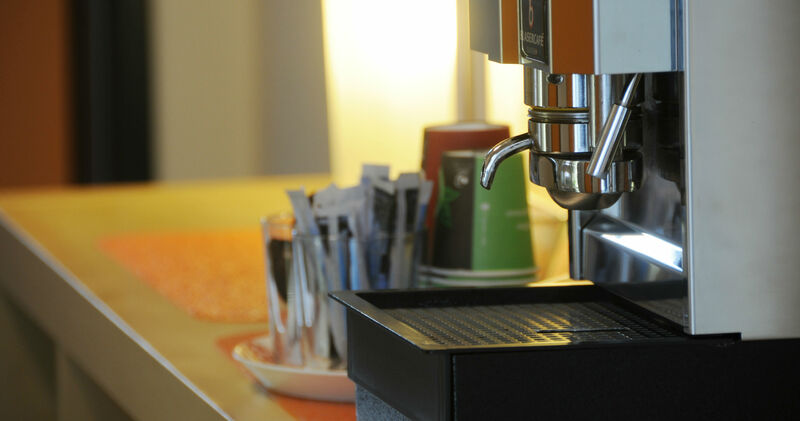 On the first floor we have a coffe machine, which you can use 24 hours a day. Coffeepads are provided in your room upon arrival as a present from the hotel. If you love to drink coffee and need more pads, you can pick them up anytime at the snack-vendor or at the reception. There is a snack-vendor on the first floor, where you can find a variety of drinks, sweets and also coffeepads, if you need more than the ones provided in your room. You can also find basic equipement for your dental care or for shaving. The vendor takes Swiss Francs only and can be used 24 hours a day. Also on the first floor you can find the laundry mat for our guests. We provide a washing machine, a dryer and an iron with ironing board which you can use (payment required). In the common room on the second floor, there is a computer-station with a printer, scanner and copy machine. You can either use the internet there or you can use the motel wifi. The wifi-signal is available in every room and there is also a free LAN-access in every room. You can find the wifi code on the information board at the reception. We welcome bikers in our motel and offer you the possibility to store your bicycle in our basement. For the future we hope to add special bikestorage to our services. Please only park on the marked parking fields next to the motel. There are NO parking spaces for busses, coaches or trucks. If you do however park any of those vehicles on our parking spaces, we will tow them and charge you for it!